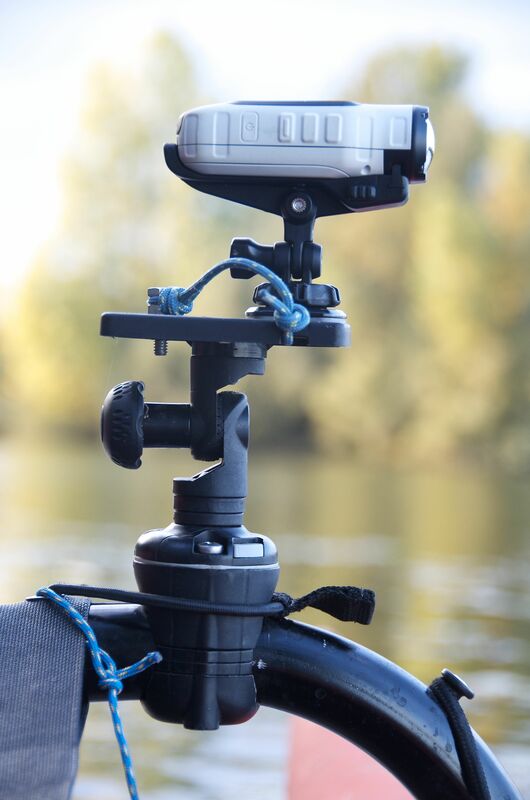 You might have noticed the attachments on our kayaks, holding the cameras, GPS, Fishing’s rods, flags and so on, it’s all made by Railblaza, a great system. 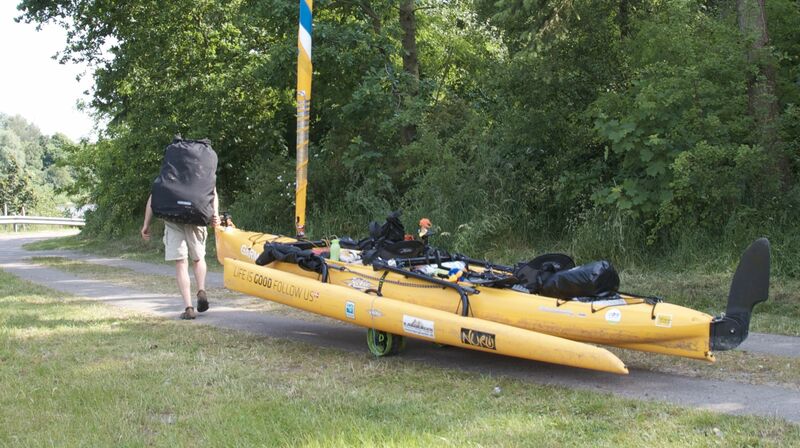 We attached their system on the kayaks before starting the trip. The great thing about Railblaza is that you can move things around, which we do all the time, as long as you have an attachment point any Railblaza holder will fit in it. 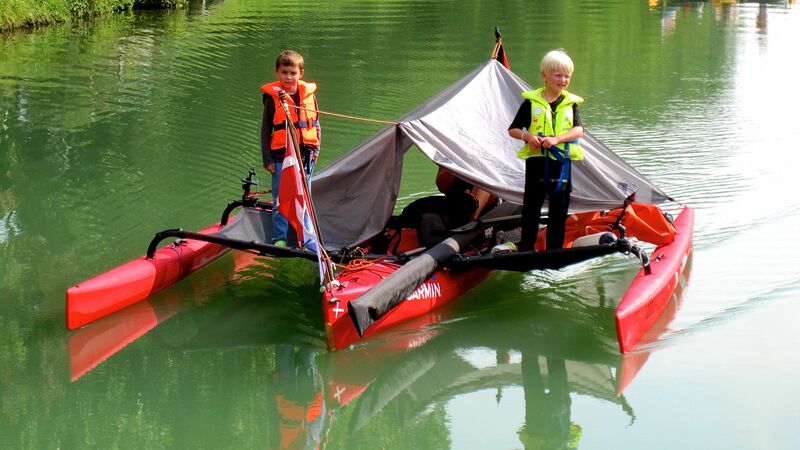 Making the first holes in our brand-new kayak was mentally a difficult task. But the job was easy and without any problems. The Gps holder has a good grip on our Garmin GPS and you can move the elastic that holds it into place, so you can have a clear view of the screen. 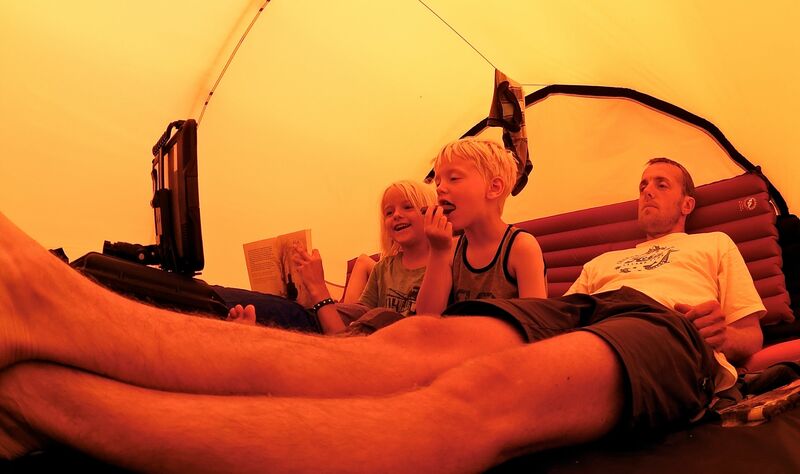 The tablet holders have worked fine and we have also been using them in the tent for movie nights or rainy days. The platforms have a nice size; we have been able to attach either our small Garmin VIRB action camera or our big Nikon SLR on it. They can be moved around and tilted in all directions and they hold firmly in place even with at big SLR. The flag/extension pole is in use all the time. Mostly as a flag holder, but we also attach the VIRB actions camera on top (here the SLR is to big) and use it in on one of the mounts. Or as an extension of your hand. We also have a set of wheels The C-TUG with us, also made by Railblaza. Till now we only needed them twice. Our kayaks where very heavy loaded when we used the wheels, so in the soft sand it didn’t work, but for the rest it was fine. We can only give thumps up, we are 6 months into our trip and everything still works. 🙂 We have only broken one tablet holder, but that happened during storage inside the kayak. 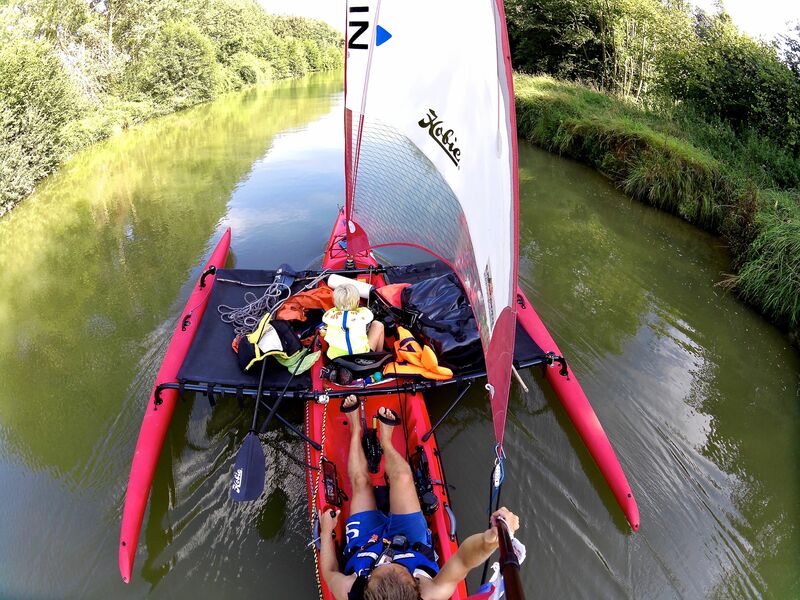 Can you share me where to buy the gears fro your kayak. I saw that it is so impresive and suitable for my travelling with my children. The picture that 2 your children stand on left and right of your kayak is attractive me. Thank you for your sharing this. Oh, that’s great. I will check it soon. Seems like a Railblaza has a great fishing accessories line up! 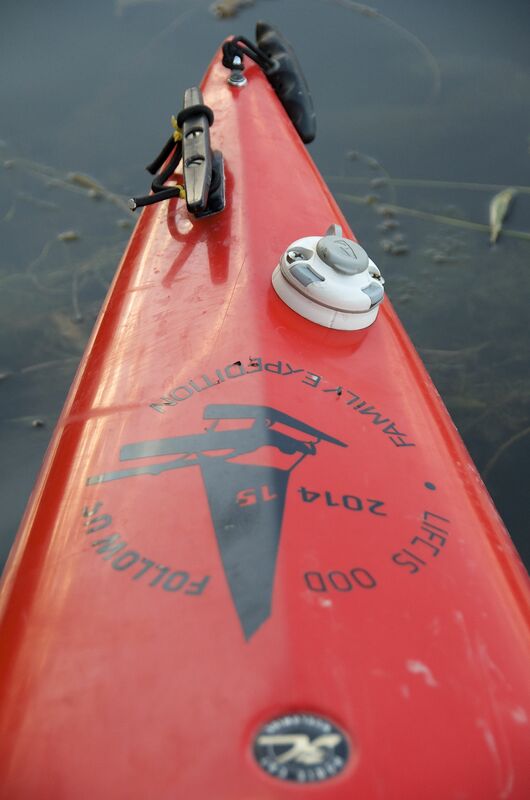 I’m impressed by that best fishing kayak GPS system, recently I’ve lost my previous fish finding GPS [ sad story 😦 ], however I’m looking forward to buy the Railblaza GPS system. Can you let me know best price of this product?